Newspaper article from 31st January 1929. 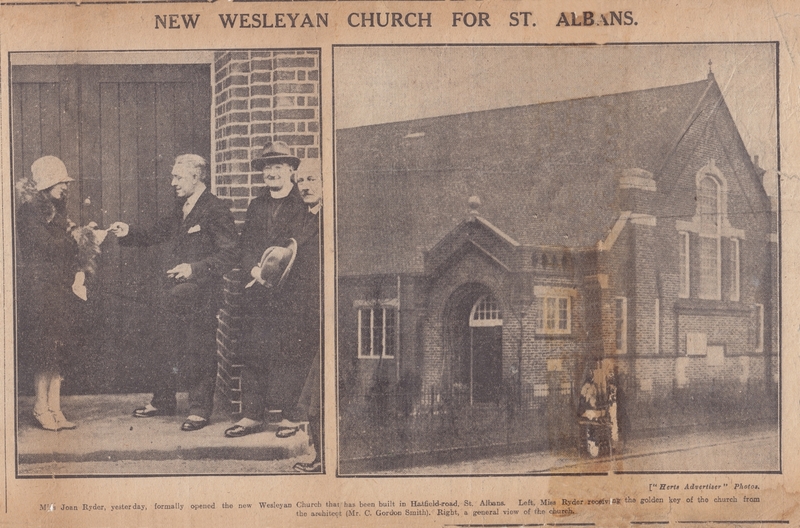 Miss Joan Ryder, yesterday, formally opened the new Wesleyan Church that has been built in Hatfield Road, St. Albans. 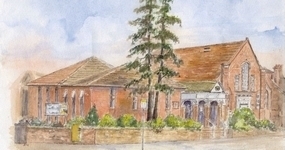 Left Miss Ryder receiving the golden key of the church from the architect (Mr C. Gordon Smith) Right, a general view of the church.